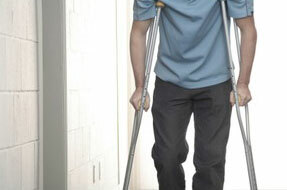 After an accident, you need to start building your personal injury claim. You’ll need compensation for your medical bills, out-of-pocket expenses, lost wages, and pain and suffering. To address these losses, you want to get the biggest auto accident settlement possible. This is money you need and deserve. Maybe in your mind it’s clear who’s at fault. But, no matter how obvious things may be to you, the insurance company won’t just give away their money. They’ll do everything possible to show their insured wasn’t liable, or that your injuries aren’t as bad as you say. Note: Although this section deals mainly in the context of auto accidents, the advice is applicable to all types of personal injury claims, including slip and falls, work injuries, dog bites, defective products, etc. There are actions you must take immediately after a collision to secure your safety and increase the likelihood of getting a fair auto accident settlement. Prepare yourself for the worst-case scenario by reading this page. Your health should be your first priority after an accident, especially when a neck injury is involved. It’s important to seek medical attention to insure your good health, to identify unseen injuries, and to have documented proof for your claim. Documenting your accident and injuries is vital. From notes at the scene, to medical records, to demand letters, you need written proof to support your claim. Keeping your evidence organized will pave the way to a good car accident settlement. There are things you just shouldn’t say when negotiating a personal injury claim. Don’t absolve other parties at the scene because they’re upset, don’t admit fault, and don’t sign anything. Learn to avoid all the common negotiating mistakes here. Accident photos bring reality to your claim. Pictures taken at the scene make it more believable and dramatic, thus improving your chances for a fair settlement offer. After an accident, remember to keep a cool head, and to get out your camera. Gathering direct evidence is an essential part of your claim. The more evidence you have, the greater your chances of winning a fair auto accident settlement or court award. Learn the different kinds of evidence and how to collect it. If the police are called to the scene of an accident, chances are they’ll complete a car accident report. The report will have a ton of information essential to your injury claim, and could be a determining factor in settlement negotiations. Witness statements back up your story of how the accident happened. Witnesses can be passengers in your car, nearby store owners or employees, or strangers who saw your accident while passing by. Try to speak with anyone who you think could be a witness. A statute of limitation is a law stating how long you can wait to file a lawsuit. It’s important to know the limitations period in the state where your accident occurred. Your ability to get injury compensation depends on it. When you file a personal injury claim with an insurance company, a claims adjuster will likely ask to take your recorded statement. It’s often best for claimants to refuse to give a statement, but that could slow down the claims process. Learn how to give a statement in a way that will help your claim. Bad faith practices are an unfortunate element you may encounter when negotiating your insurance claim. But if you’re familiar with bad faith tactics, you can protect yourself. Be prepared to defend against underhanded attempts to lessen your injury settlement.